A pearl ring is classic, elegant, and sophisticated. A stunning pearl ring adds an enduring appeal to any outfit. They can make fabulous fashion statements. Pearls are the birthstone for people who were born in June. Consequently, pearls are also the gemstone for couples who are celebrating their 30th wedding anniversary. This simple, yet gorgeous double pearl ring is both classy and contemporary. The sterling silver band is embellished with a radiant classic white pearl, surrounded by crystal gems. The highlight of this ring is the dark gray pearl accentuated with leaves that are decorated with crystal gems. This is a very beautiful ring. It is very simple, yet elegant and has the accurate size. 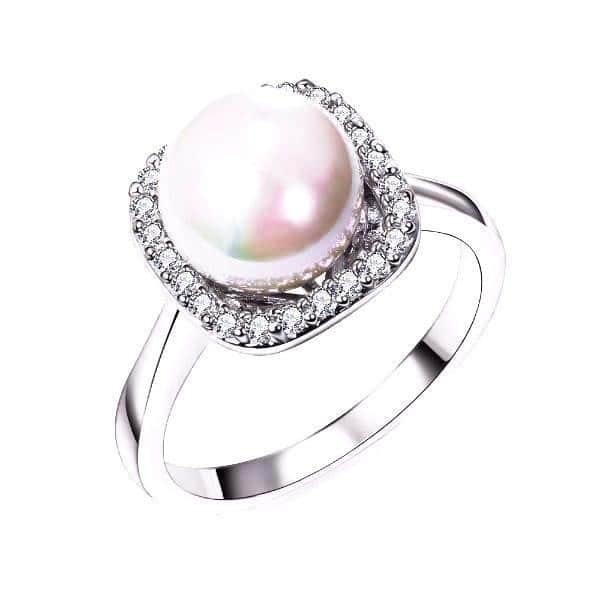 This sterling silver ring is highlighted by a freshwater pearl illuminated with rhinestone. When it comes to a cultured pearl ring, white gold provides a contemporary, stylish look. Freshwater pearl rings come in different colors and settings. Freshwater pearl rings are best suited for everyday wear. They are durable and can surely withstand the test of time. 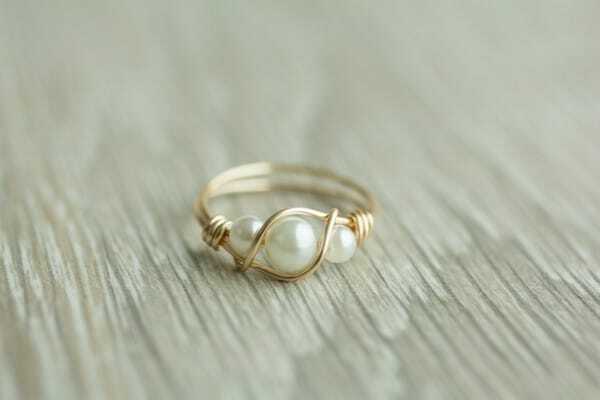 Fall in love with this stunning handmade pearl ring! 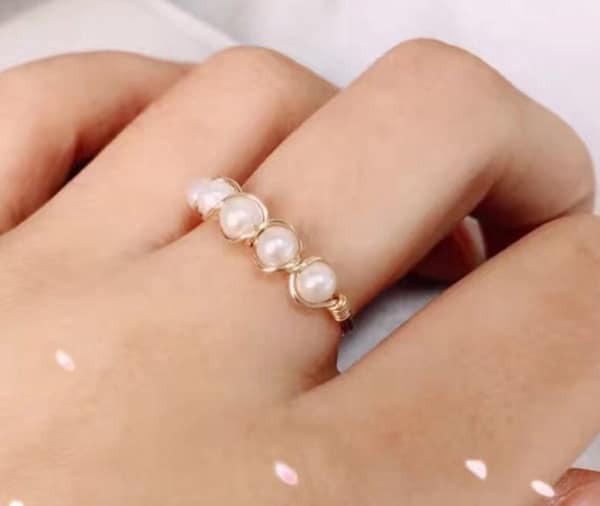 This 14k gold filled wire ring holds the finest freshwater pearl, a perfect gift for your loved ones. This gold pearl ring features an alluring luster that will take your breath away. A silver band with synthetic pearl and cubic zirconium, a simple ring for everyday wear. 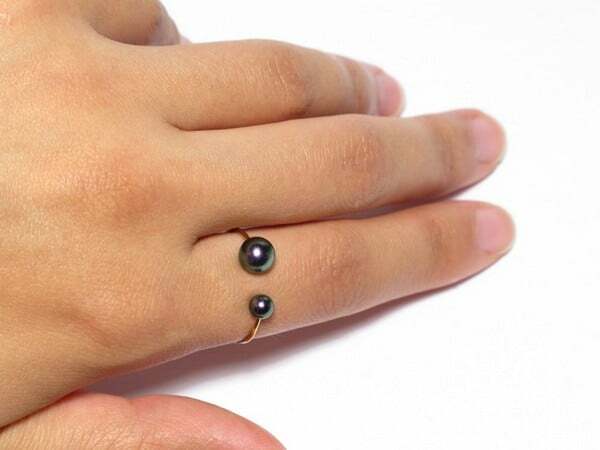 Two black pearls almost meet up, giving the illusion that it is floating on your finger. 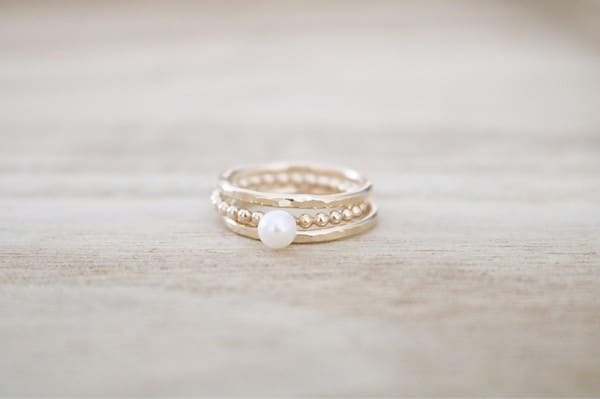 A trio of pearls inserted into a delicate yet bold 14K gold filled ring. Pearl engagement rings are the romantic alternatives to classic diamond rings. 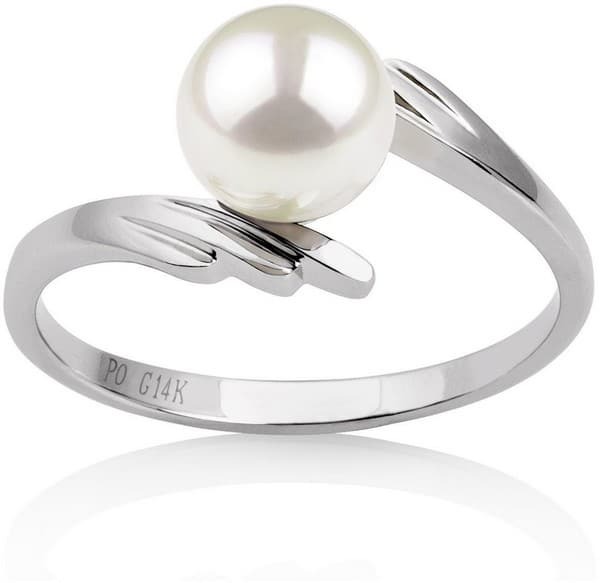 This sterling silver ring showcases a radiant white cultured freshwater pearl that has a vintage appeal. Pearl rings provide sophistication for any occasion. The main feature of this ravishing ring is the freshwater pearl. This ring will surely add a touch of elegance to your outfit. 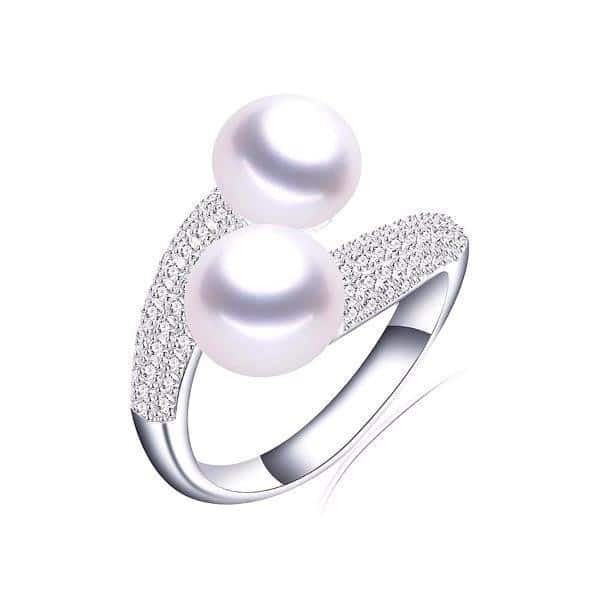 As the global symbol for eternity, this infinity pearl ring makes a great romantic gift for your loved one. 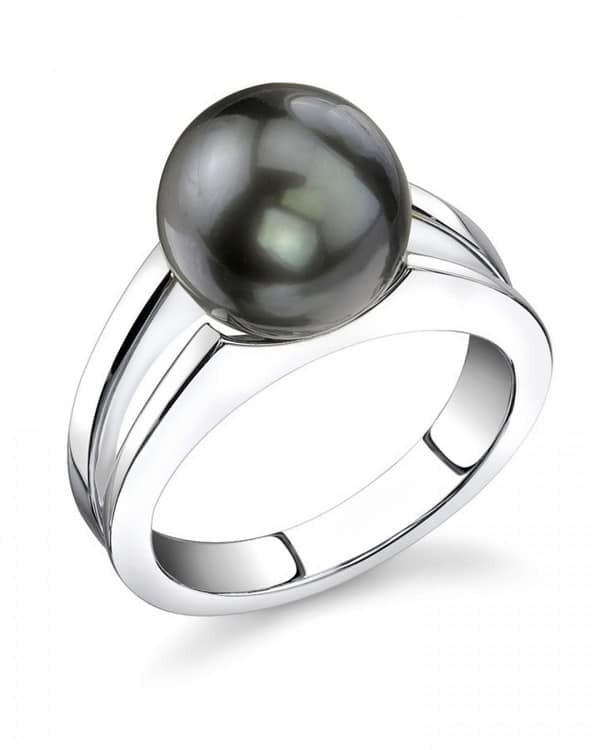 This sterling silver ring features a magnificent Tahitian cultured pearl. 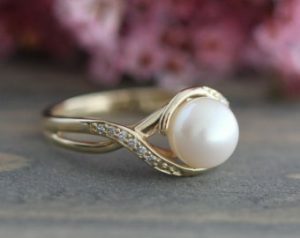 If you are looking for pearl ring designs in gold, then this is a perfect option. 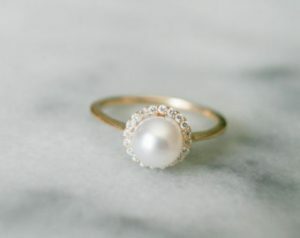 Just keep it simple with a dainty pearl ring! 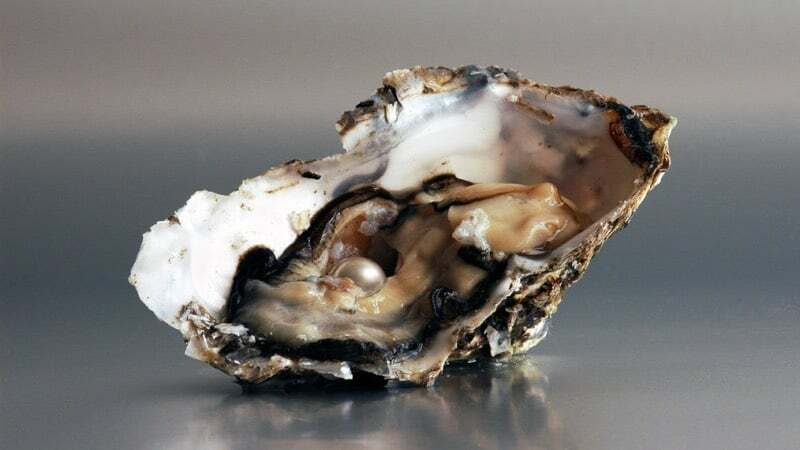 Pearls are considered the world’s oldest gem. The discovery of pearls cannot be accredited to a single person only. It is believed that they were first found by people who were looking for food along the seashore. In the early part of 2300 BC, pearls were given as gifts to the Chinese royalty. In ancient Rome, pearls were used to represent the status symbol. That is why, during the 1st century BC, Julius Caesar created a law to restrict the use of pearls to the ruling classes. Today, natural pearls are among the scarcest of gems. Pearls carry a variety of meanings including wisdom acquired through experience, wealth, luck, and protection. They are also highly recognized for their calming effect. Pearls can keep your children safe, enhance your relationship, and harmonize karma. Pearls also signify purity, benevolence, honor, and devotion. White pearls are well loved for their elegance and versatility. There are different types of white pearls including White South Sea, White Akoya, and White Freshwater Pearls. White represents purity, that is why most brides wore white pearls. White pearls also symbolize innocence, beauty, and new beginnings. White pearls or not to be confused with opal stones used in rings. Blue pearls are perhaps one of the rarest and most unique types of pearls. They are naturally colored and come in a variety of hues including Silver-Blue White South Sea Pearl, Tahitian or Sea of Cortez Pearl and Blue Akoya. Pink and Peach pearls are naturally colored. They are freshwater pearls that are cultured in China. They are commonly paired with yellow gold to enhance its brilliance. 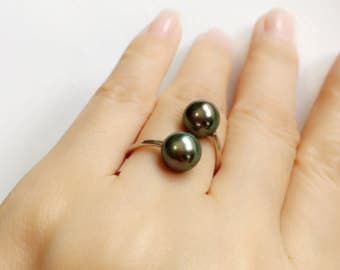 Black pearls are very rare. Tahitian and Sea of Cortez black pearls are naturally-colored while Black Akoya and Black Freshwater pearls are color-treated. Black pearls and gold pearls are an emblem of wealth and prosperity. Just like Pink and Peach pearls, Lavender pearls are also naturally colored. They are best paired with white gold. Yellow gold is also a good choice since it creates a huge contrast. Golden pearls are naturally colored. Men and women love them for their luxurious and lavish look. Golden South Sea pearls are one of the rarest cultured pearls in the world. Brown pearls or chocolate pearls are either naturally colored or color-treated. These pearls are best paired with yellow gold, however, white gold can also create a nice contrast. Brown pearls represent harmony, manliness, dependability, and practicality. be remembered for a long time. Pearl jewelry can suit any woman of all ages. They are a great gift for your partner, daughter, or mother. Pearls are now in demand in different places of the world. Their beauty shines on you, no matter what your skin tone is. They have a touch of class and uniqueness. If you want a unique engagement ring, then you should consider having pearls. Pearl engagement ring is very symbolic and meaningful to couples. They are timeless and represents harmony, purity, and perfection. Sometimes pearl engagement rings are done in designs like flowers. Most often diamond accents are used to add detail and intricacy to the design. The pearl engagement ring is the latest popular trend for brides-to-be. This is because they believe that pearls enhance faith, generosity, innocence, and devotion. When it comes to wedding rings, couples are now taking a more personal approach to expressing the symbol of their love. Nowadays, it is not more about having identical wedding rings. Rather, they choose something that reflects their personal characteristics. For instance, a pearl wedding ring will likely give joy to any bride since it is the perfect match for this romantic moment. Most brides opt for white pearl wedding rings due to its elegance. You can either choose dainty freshwater pearls, classy South Sea pearls, or lavish Japanese Akoya pearls. These beautiful rings are the emblem of your purity and your magnificent love for your husband. A pearl eternity ring is very feminine. They are admired for their softness and beauty. An excellent symbol of love and passion. Having a charm on its own, this ring will look stunning when stacked with other rings. An eternity ring is a memento of your everlasting love and devotion. Typically, eternity rings are suited for couples who have been married for 10 years or more. Nevertheless, nowadays, it has changed. Eternity rings are already worn by couples who have been married for a year. Traditionally, eternity rings are placed together with your bridal and engagement rings, hence, this ring should fit accordingly. However, some people choose to deviate from the traditional way and opt to wear them on the opposite hand. The price of a pearl can vary depending on several factors, including pearl size, type, color, surface quality or the types of pearl jewelry it is worn on. The pearls on a necklace or the pearls worn on earrings might have a different price than the pearls worn on a ring. Keep in mind that wild pearls are more expensive than cultured pearls. Since there is no particular grading system for pearls, then the price for pearls are usually based on their luster, size, shape, color, and surface consistency. There are a lot of options available for pearl rings. However, the most popular is having one large pearl inserted in a yellow gold setting. Similar to a single diamond, a ring with a solitaire pearl can look impressive and exceptional. The most important thing is choosing the right quality and color. You can either choose a simple holder or embellish it with a bit of design. The design of the setting must also compliment the beauty and brilliance of the pearl. Other types of gemstones such as amethyst, rubies, or diamonds can be placed around the pearl. 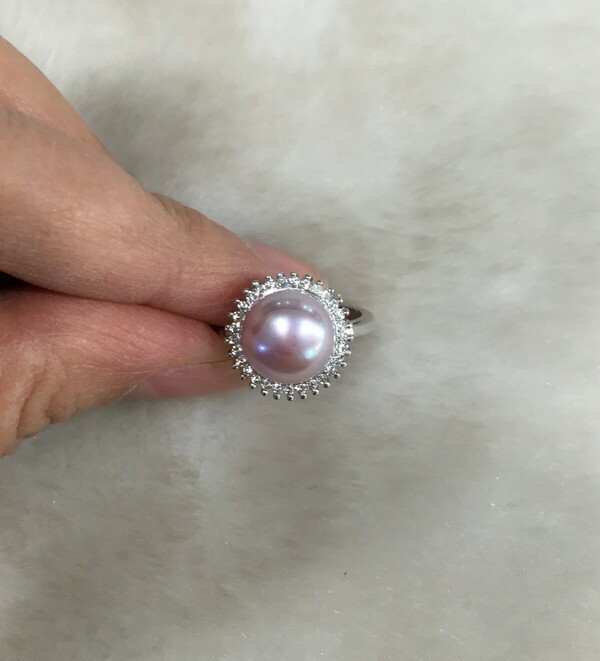 If you want to have a unique pearl ring, then simply combine the pearl with other gemstones. It is simple yet it looks stylish, beautiful, and powerful. 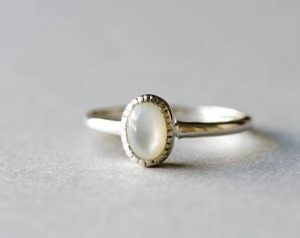 When choosing the setting for your pearl ring, you have to consider the complexion of the wearer. A yellow gold setting is perfect for women who have a fair skin tone. Whereas, women who have a darker skin tone should choose a silver setting. Most likely, the setting will greatly depend on the personal taste of the wearer as well as your budget. Gold is one of the most popular metals used in pearl rings. The most common karat values include 10kt, 14kt, and 18kt. The higher the karat, the more expensive it will be since it includes a larger percentage of pure gold. 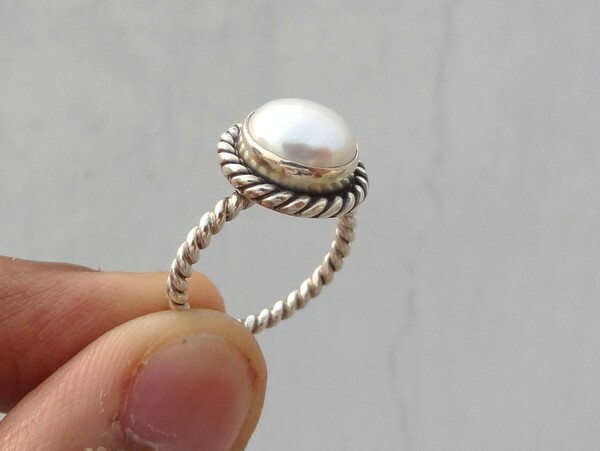 Silver pearl ring has a flawless construction. They are created with the latest design and highly desired by fashion conscious women. 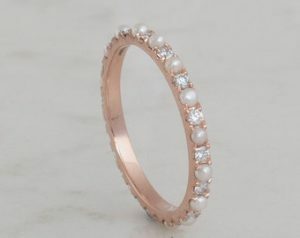 A dainty rose gold pearl ring with real diamonds look unique and elegant. Most women opt for this style since they are eloquent and beautiful. If you want a modern, chic look, then go for a white gold pearl ring. 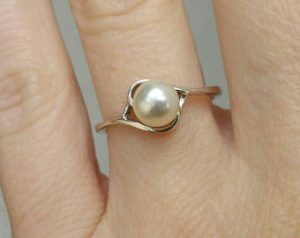 With white gold, you’ll get the chance to include beautiful embellishments in your pearl ring. White gold rings are suitable for any occasion. They are a precious gift that will always be treasured for years. One of the most popular superstitions about pearl rings is that it should never be used as engagement rings since they represent tears in marriage. According to this superstition, this is one of the reasons why some women have a sad and unsatisfied marital life. However, science has nothing to say about this. Also, there are no life conditions that proved the same. When shopping for a pearl ring, you have to make sure that you are buying a genuine pearl. The best way to test if you are buying a genuine one is to rub it with another pearl. In case there is a little friction, then most possibly you are buying a genuine pearl. Consequently, you should check the shape of the pearl. Keep in mind that pearls are not perfectly round. Furthermore, in order to make sure that you are buying a genuine pearl ring, you should buy from reputable stores! Pearl engagement rings are one of the most one-of-a-kind rings that you should go for!